Traveling to the Bouchan commune was my first field visit with the High Atlas Foundation (HAF), when I was a volunteer in 2016. I had the chance again this year to take part in the tree-planting event and an environmental workshop with local farmers from the same village at the school. The weather was beautiful that day, sunny and warm enough to do more activities with the students and the Rhamna communities. While we drove to the school, I noticed that the nature around Rhamna Province looks more green this year compared to the last year that I had been there with the HAF team. The farmers already planted their fields with barley and wheat and many of them started planting trees in their lands, and HAF was a part of that, by distributing thousands of trees to the Rhamna communities and schools. This year as well, HAF will organize more tree planting events to plant more trees, as we had today with the student and the school staff. Together, we brought the seedlings from the car to the school garden. Then we went to a classroom with the school director to visit the students in their class and share with them more information about the environment and the importance of trees in our lives. Errachid, HAF Project Manager, started the environmental workshop with the students, and they were very creative with the answers and the way they explained their thoughts. I was very happy listening to the kids telling us how they are a part of the environment where they live; most of them already had the chance to plant the trees with their families, as most of Rhmana is rural, and most of the student are helping their families in agricultural activities. After, Errachid, members of the HAF team, and volunteers listened and talked to the kids, we moved again to the square to plant some of the aromatic and medicinal plant. 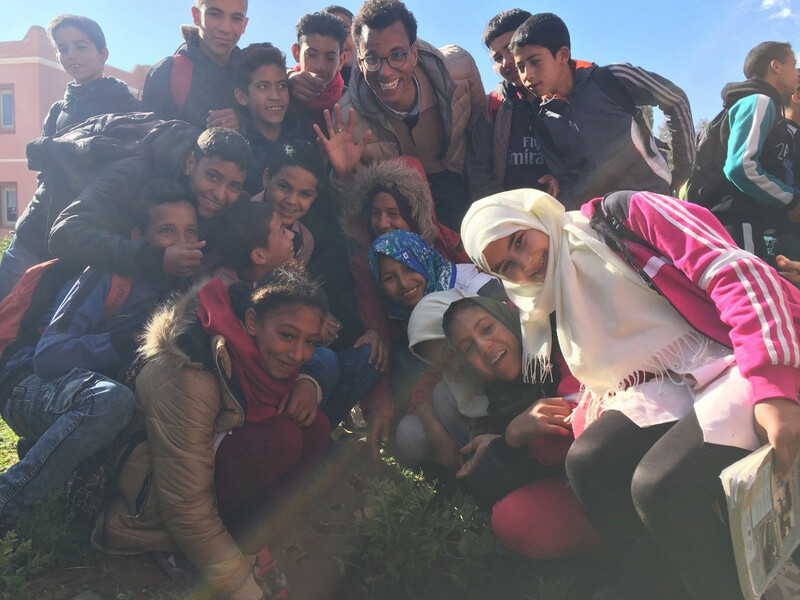 More than 50 students—girls and boys—joined the HAF team, an amazing volunteer from the US, and Privet University of Marrakech (UPM) students in the square to plant trees and make it more green and beautiful. We dug the holes together, then we planted and watered the plants. Everyone wanted to offer a hand and be a part of the planting. While some planted, the others kept watching to learn how to plant more later in the school or somewhere else. We discussed with the kids further about their school and their visions, and how they want their school to be in the future. The students were excited too to talk and to express their feelings about the day. After that, the school received more guests; they were some of the parents of the student and local association, which we planned to meet on the same day as well. The school break was from 12:30 to 13:30; at that time, we went with the parents and the association members to a classroom to start another workshop about the environment, using the participatory approach. 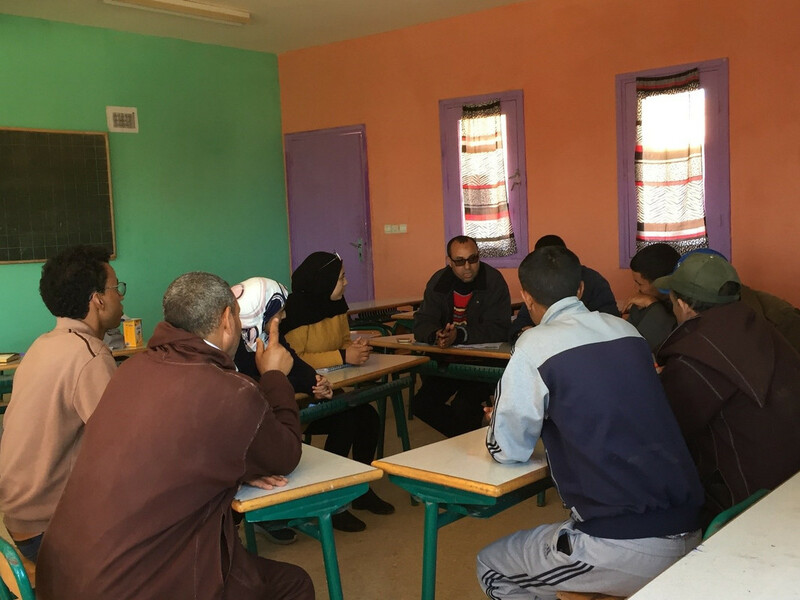 We started by introducing everyone to each other, then Errachid started again by asking the participants about their environment knowledge, and, as they are residents of that village, how they are affected by the environment, positively or negatively. The farmers and the association members, one by one, shared their thoughts with us on their needs in the village and what they are looking to change in their village. Moreover, they talked about their environmental challenges and how they can solve them. Environmental education is about teaching the values, attitudes, skills and perceptions necessary to understand and appreciate the complex relationships that connect communities and their lives with their physical biosphere. Furthermore, environmental education emphasizes the need to preserve natural environmental resources and the rational utilization of them for the benefit humans and maintaining their standards of living. When it comes to environmental protection, prevention is much cheaper and more effective than treatment. Damage caused by degradation of the environment cannot normally be reversed. Biodiversity cannot be restored to equilibrium again or it cannot be fully restored. Efforts must, above all, be focused on the protection of global biological resources, and the prevention of their exploitation. Clearly, environmental education requires modifying behavior as well as addressing environmental problems by training people to participate and develop environmental awareness with positive values and commitments to protect and improve the environment. In effect, this education will prepare a generation to be responsible for its natural and social environment. 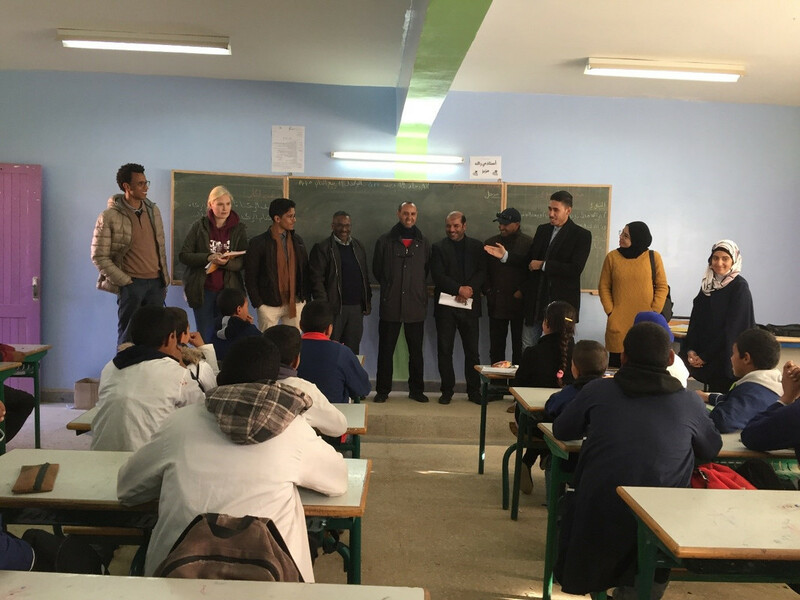 HAF and the Moroccan communities would like to thank the Bureau of Oceans and International Environmental and Scientific Affairs (OES) for its support to help educate young people about the environment in Morocco. Partner to implement this project.